So, I've finally started my long put-off bathroom makeover. When I decided that there wasn't really anything I could do with the blue tiles I lost a little of my redecorating gusto (or maybe it was mojo?) . It's now returning in fits and starts, but that might be because in the last few weeks I have managed to collect a rather LARGE number of other projects that I will have to start on soon, rather than any great desire to try to make something of the bathroom. 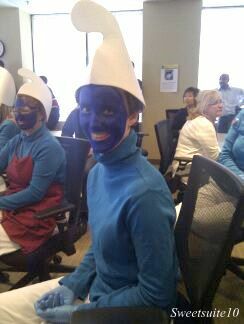 Yes, that's right, I dressed up as a Smurf. I should add this was while at work. My whole department (even our director) painted our faces blue and we won best group costume, and also Best 80's theme costume!! Ironically I was handy Smurf. But I digress. Back to my bathroom. 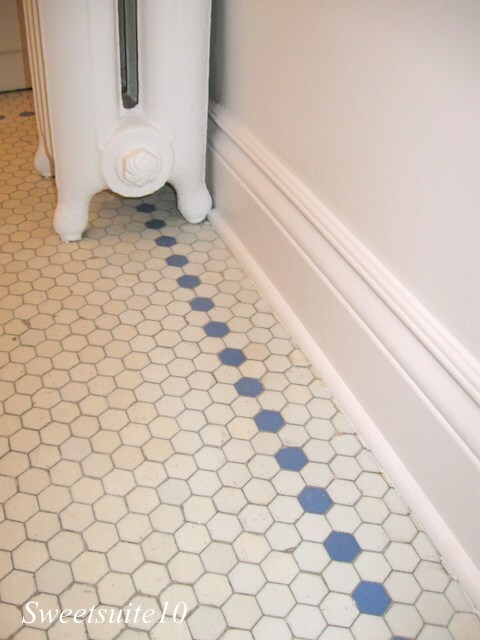 The first step was determining how to fill-in the gap at the bottom of the wall between the baseboard and the floor tile. 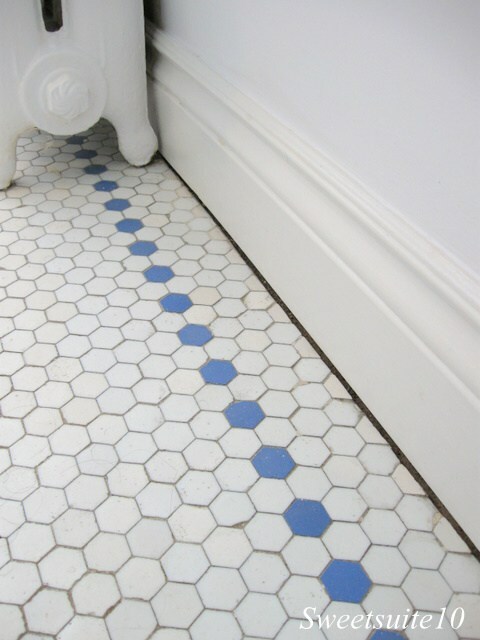 A common occurrence in older buildings is settling, and my building is no different with slightly off-kilter floors and doorways. This was the only immediately visible indicator of the settling in my apartment, and it needed to be disguised. Fixing the gap wasn't difficult - it simply required a quick trip to Home Depot for some quarter round and a little of my time. There were of course the little hiccups - I though I was brilliant when I decided to drill pilot holes for the nails that would hold the trim down, except the drill holes were at an angle that ensured the nails ended up in the gap I was trying to mask. Grumble. Other than leaving me with a few more holes to fill, it wasn't a big issue. What was a bit of a pain however, was painting my new trim,and then the baseboards and radiator. 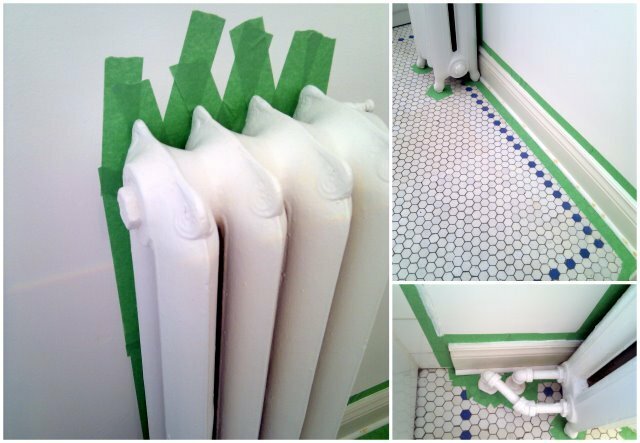 You don't think about how many nooks and crannies a radiator has until you have to tape around, and then paint one. I'm very much hoping that the fact that the rad was warm while I painted it won't be an issue down the road . . .
House & Home - August 2010 - Spotted!